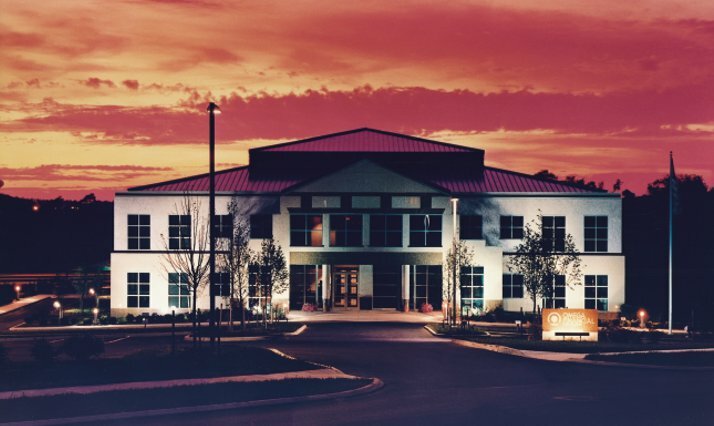 Acting as Construction Manager, Quandel Construction used intensive, comprehensive estimating and value engineering to deliver exactly what Omega Financial Corporation expected: a beautiful, functional Operations Center completed on time and under the guaranteed maximum price. It features a custom-color, standing seam roof; three shades of polished granite on the entire exterior; and a computerized heating/cooling system that can be activated from outside the building. The three-story center houses the customer accounting, general ledger, audit, operations, and loan operations departments as well as computer and data entry rooms, an executive area, a cafeteria, and an exercise room. It serves two bank subsidiaries.